Pictured clockwise from left, Kristyn Vergauwen, Zach Leamy, Gene Sludge, Amour Inman, and Stephen Hash. Our inaugural class of Volunteers has arrived, coming to us from Alabama, Connecticut, Kentucky, and Ohio. Be sure to check out the newly updated Meet the Volunteers page to learn more about this great group of young adults committing to a year of service in Franklinton. 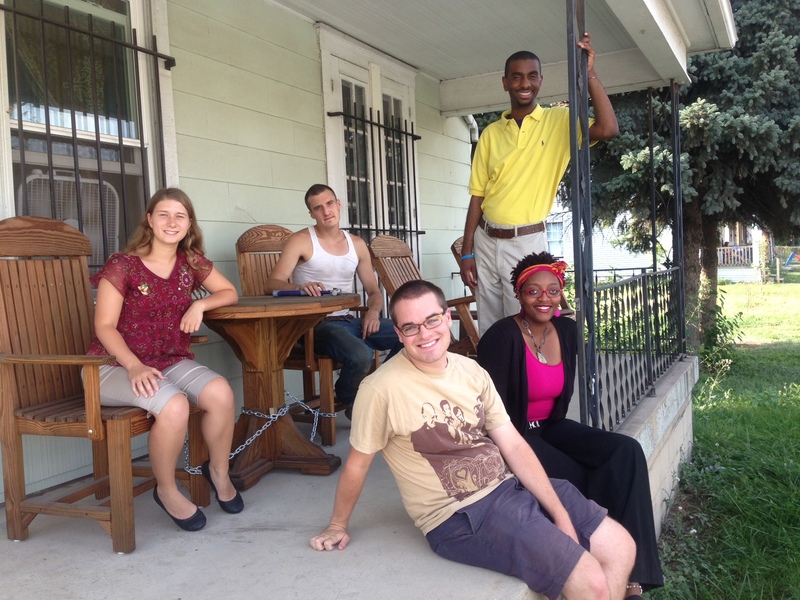 Never has a nicer-looking group of nice young people been assembled on one front porch! I look forward to working with you more closely in the coming months.